When Lynne@LilysQuilts put out a tentative call for quilty contributions to Siblings Together it was a no-brainer for me. I’m so so lucky. I can’t imagine what it would have been like to have been separated from my half-brother, AJ, when I was growing up. He was 16 years older than me. He was my hero. He played the trombone. He was wickedly funny and at times extremely mean. 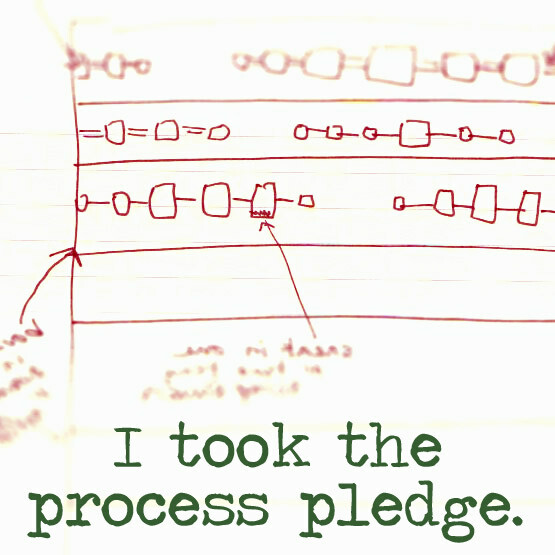 He could do requests on comb and paper. He died in July 2010 and he is the reason I started sewing again. It seemed only right to make a quilt to celebrate siblingdom. Well, I was determined to come good with the intentions, and so the blocks got a revamp and my Siblings Quilt is the result. For fabric nerds, the main solids are Kona Charcoal and Chartreuse, piecing was mainly from my stash & Cheater Friday fabric by MelanieSullivan@TexasFreckles found here on Spoonflower … **Edited to add: Spoonflower also sponsored our quilt labels, I got mine from the super organised Laura@NeedlesPins&BakingTins. So, that’s the story of this quilt, and now, with label attached, QOGI is ready to be sent on to its new owner. My brother never got to cuddle his quilt so I just love that I now have a connection with another ‘sibling’ somewhere. Quilts, just like siblings, need to share memories. 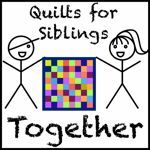 I know that the quilty community is very generous and I know that many of you give to your own favourite causes, but just in case you're after a little something to do there are other opportunities to get you into giving action here at the 100 quilts for kids blog hop over at SwimBikeQuilt.